What I thought was a personal slimming journey has turned into a series of Q&A with friends and readers of The Loving Mum. Am a little overwhelmed by the attention received and the more enquiries I get, the more stress I get because I really really need to continue to stay trim and fit to uphold my personal reputation. This probably a good thing too coz these attention acts as a push factor for me to want to reach my ultimate #TLMgetfit goal! To help you (and myself), here are the most commonly asked questions from you, answered by me! What did you do to lose those weight and drop your size? I have previously shared my slimming routine in this post, do go read it before you continue with this Q&A. In short, I changed my diet and started a slimming program with Absolute Slimming which uses Traditional Chinese Medicine techniques to help improve metabolism and to trim and tone my body. How was the treatment carried out? You will need to undress and be in your under garment for the treatment. Your total weight, fat %, muscle % and water % will be measured first so that you will know your progress, and also so that you know you’re losing fat, not water. On the first and every alternate sessions your arms, waist, bottom and thighs will also be measured. All measurements are recorded into their system where they will share your progress with you before every treatment. Treatment will first be done on the back, you will be laying down on a bed (similar to those at facial/ massage parlour). The trained therapist (sometimes one or two of them) will use a smooth plastic comb-like piece (without the “teeth” of cos) to scrub your thighs, arms and back. This process is known as Gua Sha. Special cream will be applied before they scrub. After the scrub, about 20-30 suction glass cups will be placed along the arms, thighs and back, these cups are positioned on the accupoints that are focused on detoxing, improving blood circulation, increase metabolism and also help tone down your body mass. These accupoints are first marked with cream dots to ensure accurate positioning of the cups. The cups will be left on for less than 20 minutes. During this treatment time the warmer below the bed will also be turned on, and the heat and smoothing music makes one wants to doze off. I look forward to my weekly treatments as it gives me almost 40 minutes of undisturbed rest (and sometimes sleep)! After the treatment is done at the back you will be asked to turn around and the therapists will proceed with same treatment process on the front – along your arms, thighs and stomach. Each standard treatment takes about an hour, and I’ve observed there are some ladies who did theirs during lunch time. For faster result, it is recommended to have two sessions of treatment every week, that’s what I did. Tolerance of pain is really subjective. Like how some women can go through child birth without epidural! Well I had epidural done and have experienced post op pain, this is nothing compared to those! You may experience slight discomfort during the first few treatments if you have never done Gua Sha and Cupping (also known as baguan) before. But eventually you will get used to it, and then it becomes rather relaxing for your body. As the saying goes “No pain no gain” right? If I were to describe the pain, Gua Sha is more painful around sensitive area like the inner thighs and arms and feel like a good scrub on the back and tummy. As for cupping, it feels like having 20 over lips over your body giving you lovebits. Go imagine! Is there any other treatments done beside Gua Sha and Cupping? Absolute Slimming has got one other treatment that uses heat to penetrate into your fats to loosen them. This treatment is optional add-on you can choose to top up for. I did it once and it helped loosen fats around my arms and upper back, where the fats are most stubborn. I have overhead other ladies doing the treatment and most of them love the feeling of heat over their body, few even commented it is very shiok! 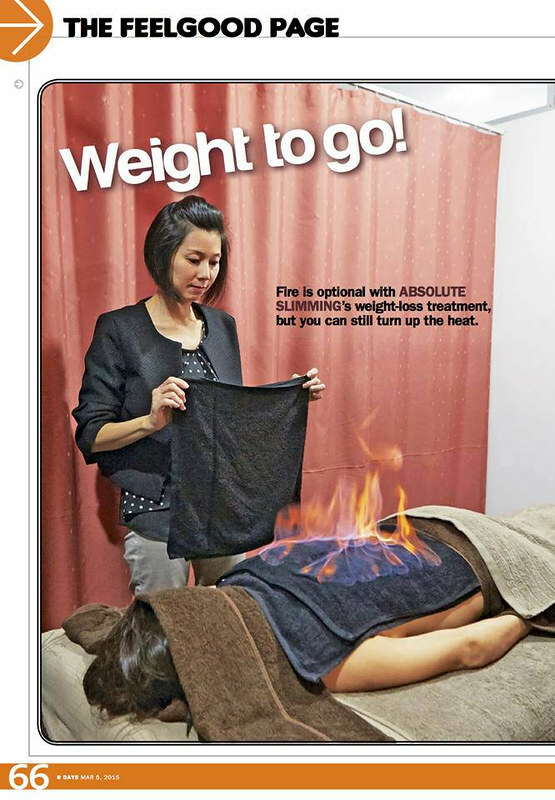 A feature in 8 Days magazine about the Heat Treatment at Absolute Slimming. This heat treatment is done with utmost care and preparation. You will be completely covered with blankets and towels. Special liquid is then spread over the treated part and then fire will be lighted up over the liquid. The fire will then left to burn until your body feels the heat, and you said Ok to it (at the maximum heat you can tolerate) the therapist will stop the burning with another towel. This is repeated and done six times per treatment. Each of these optional heat treatment cost between $90 to $150, depending on which part of the body is to be treated. The therapists don’t hard-sell at all, but they will recommend heat treatment if customers want faster spot reduction in certain areas. For example, if you’re pear-shaped and you want faster contouring, doing heat treatment on your thighs 3 or 4 times over the 8 sessions will help quite a lot! Any pills or medication required for intake? No. No pills nor medication whatsoever is given. What about the diet? What can and cannot be eaten during this slimming period? Diet for slimming is very strict, study has proven that slimming or toning is 70% affected by the diet and 30% by the sweat and hard work. Just like how I used to try jogging to lose weight, I ended up gaining more as I was super hungry after every run and ended up eating more to replenish the hunger. Likewise when I did cardio workout in the gyms, I lost a little and than everything I lost came back to me when I stopped the workout. 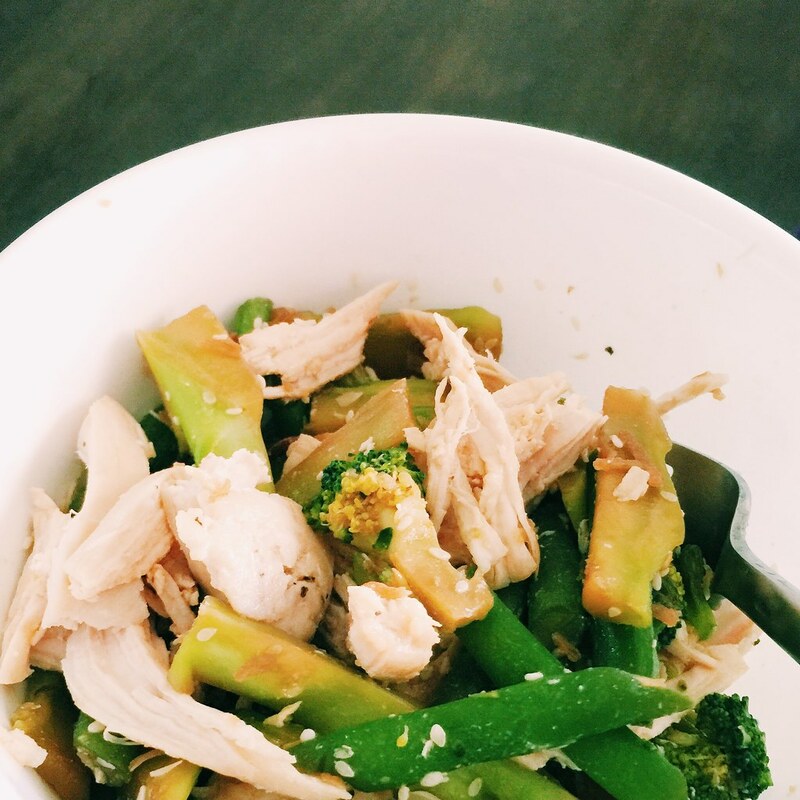 So how does a daily meal look like during my slimming period? 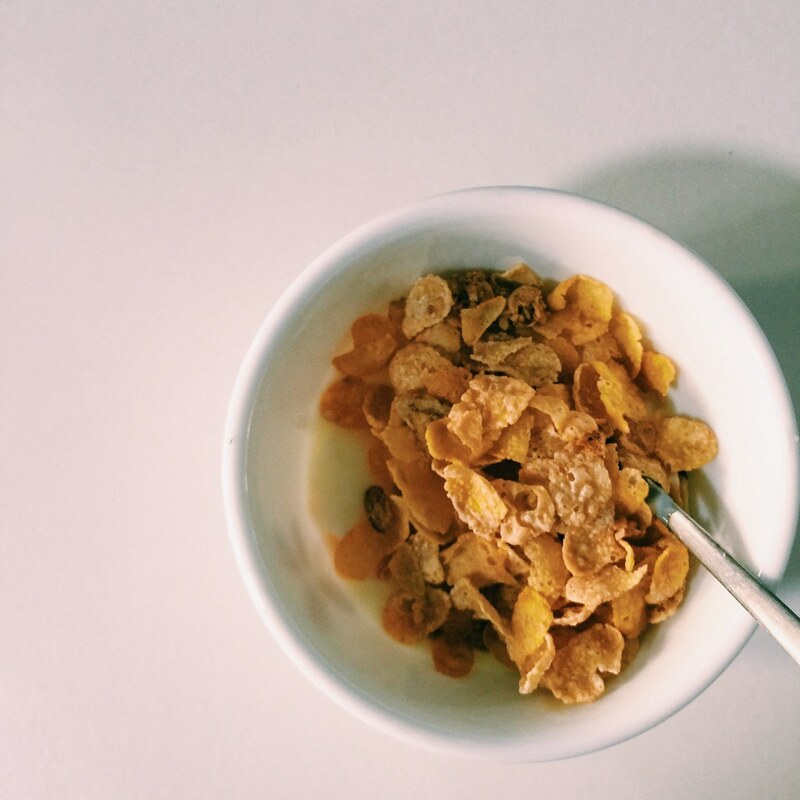 Breakfast: A small cup of non-fat yogurt and 3-4 tablespoon of high grain high fiber cereal. Lunch: Fresh lettuce, cherry tomatoes, cucumber and a portion of hand-pulled chicken breast meat. 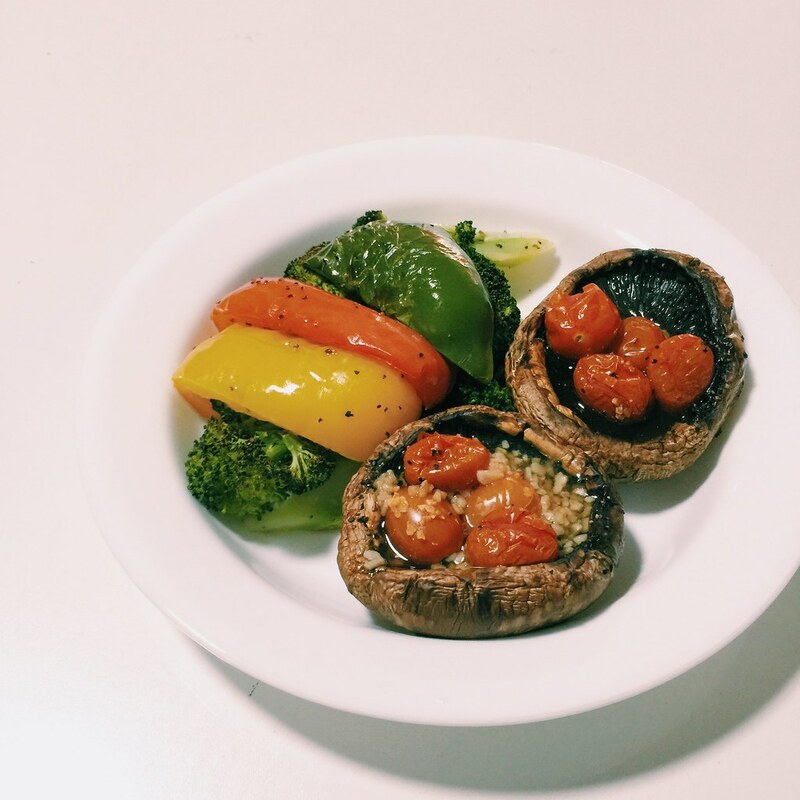 Dinner: Grilled portobello mushrooms and vegetables. That’s very strict diet! Did you follow it 100%? To be very very honest, the first two weeks I followed the above diet 100%! But the temptation and lack of discipline (also because of the school holidays) I failed to follow, and only managed half of the meals to be what was required. All other times, I ate more meat including beef and salmon, and I snacked on chips and cheese sticks (together with my girls) and even had slices of pizzas and fried chicken on some occasions. Every time I failed to maintain the required diet, I make sure I eat only till I am 50% full and avoid rice, pasta and noodles at all cost. What happens if diet is not followed through during the treatment? For me, when I followed the diet plan strictly in the first two weeks, I lose almost 4kg and my size dropped significantly. But when diet got messed up over the following two weeks, ther was no weight loss but I managed to maintain the same size around my body. Eventually the toning and shaping around my stomach, thighs and arms were reduced. See the photos below where I compare the difference from day one, week two and week four. How much is the slimming package? The standard package is for 8 treatment sessions, and cost $1,600 nett. Payment can be made by cash, nets or credit cards. No instalment plan is available. Optional heat treatments can be top-up at any sessions. How many sessions will I need to go? 8 is the minimum and you should see results once you start following the diet. You can top up more sessions if you want to reduce even more. What if I did not lose any fats after treatment? The money-back guarantee applies to the group of people who lose less than 500g and experience no toning within the first 4 sessions despite following the diet. We will know whether you’ve been dieting because our scales can measure your caloric intake. Now, this group of people is about 1% of our customers (hence our 99% success rate). The first 4 sessions are strictly non-refundable, so we will refund them the balance of their remaining 4 sessions ($800). Please keep in mind that such a clear-cut refund policy is not an industry practice. Our stand is that if you do not experience reasonable results within a certain time frame, you should probably not waste your time here! They also have got a cooling period for those who have signed up for their standard package for the first time. The cooling period refers to the 12-day window during which you can request for a refund because by 12 days they will be able to identify if you belong to the 1% who is not suitable for such treatments. My wedding is coming, when should I start my treatment at Absolute Slimming? If you ask me, I would say start two months before the big day or your planned photo shoot. Some people lose the fats quicker than the rest, so it depends on your own body and how much you follow their diet plan. I was told some ladies see a big drop after the 6th sessions while I personally experienced the huge different after the 3rd. Is it suitable for man? Did your weight rebound after you stopped your treatment? At time of writing this post, I am still undergoing treatment as I want to try hit as close as I can to my ideal 60kg. But as mentioned above, I am getting lazier as the day passes in terms of my diet. I am eating more forbidden food and not replacing my meals with fruits as told. And I am starting to snack on some days too! So far my weight is hovering and will have +/- 0.5 to 1kg when I weigh myself every day, but my trimmed off fats around my body didn’t expand back. Old clothes all still feels very lose and I do not feel bloated after too heavy meals. Many places will push customers to buy more sessions and buy other treatments, will people at Absolute Slimming do the same? From my super hearing and kayponess, all the times when I had my treatment done, I do not hear anyone hard selling nor pushing for anyone to do their optional heat treatments. On the contrary the customers are the ones requesting for heat treatments and they know exactly where they want it done! This can only mean one thing right? It really works! And you know how we woman can be very greedy, wanting to be as slimmed and beautiful as all super models. So when we know what works, we will want to do it more to help speed up the slimming process. 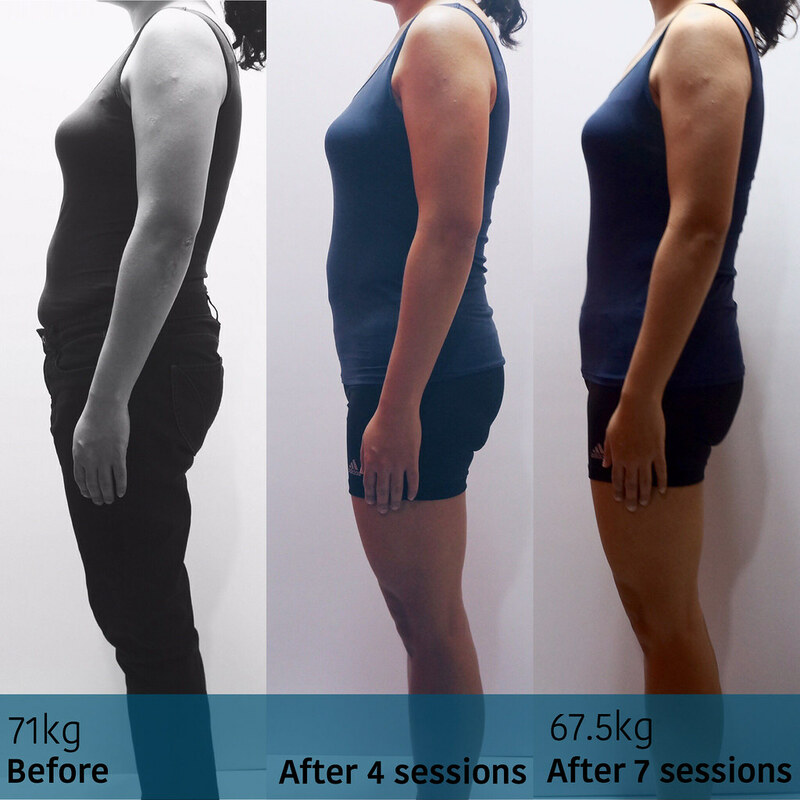 So how much did I lose in total from my treatments at Absolute Slimming? Well, though I’ve lost quite a fair bit, but it is still far from my ideal weight of 60kg, so I have extended another 4 sessions. I will update on my progress again after I completed these additional treatments, biggest challenge moving forward is to control my diet and yet give myself more variety so I do not get bored with my food. Any tips for quick and fuss free dieting meals? I’m more interested 2 know will d weight rebound after half a year or more? I had tried acupuncture slimming from a famous slimming centre n gotten weight rebound (around 5kg; I lost around 10kg) within a year. hope you can update on any weight rebound issue on you. Hi, thanks for the detailed write-up, it was really useful. I would like to find out if there is any restriction on water in-take? Water in-take is up to personal preference. Though it’s advised not to drink too much after meal and before bedtime.